The CryoNeedle Cryoprobe (U.S Patent 6,503,246) is a hand-held cryosurgical instrument for destroying tissue of Hypertrophic Scars and Keloids (HSK) during surgical procedures by intralesional application of extremely cold cryoprobe. The device is based on intralesional application of a needle cooled by the cryogenic fluid (liquid nitrogen with boiling temperature -196°C (-320.8°F) to a selected area to effect cellular destruction, Figure 1. The novelty of the CryoNeedle concept is its intralesional application and its form specially elongated to enable such application while affording maximum user control and comfort. To enhance the intended intralesional penetration into the scar tissue, which is often hard, rubbery and dense, the CryoNeedle is provided with a sharp pyramided-shape, sealed, distal tip. Temperatures of -25°C to -50°C (-13°F to -58°F) can be achieved. 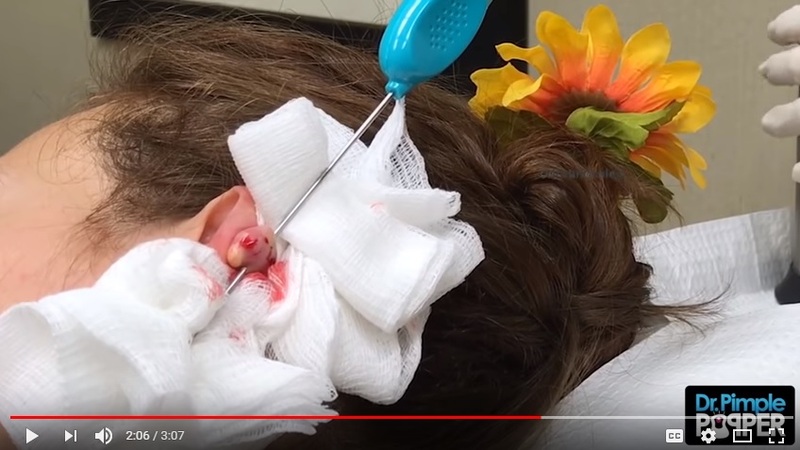 The clinical studies clearly demonstrated the excellent efficacy of the CryoNeedle due to the increased freezing area of deep scar material, compared with that obtained with commercially available surface/contact probes. Furthermore, moderate freezing and thawing rates improve cellular fibroblasts destruction and blocking the microcirculation in the tissue –two mechanisms that when applied on the deep scar material contribute to the excellent results achieved. It must be remembered that fast freezing is more dangerous than moderate freezing. Accordingly contact-treatments are measured in seconds since a long exposure might be harmful, while the CryoNeedle treatment is measured in minutes since a significantly longer exposure could not harm the skin surface, but still harm the scar internal tissue (almost all of the HSKs treated by the contact techniques result in significant hypopigmentation, while the skin surface of the HSK treated by the intralesional CryoNeedle exhibited pronounced hypopigmentation). Among other advantages of intralesional application over alternative modalities is a short preparation time. In addition, the risk of infection is extremely low; wound care minimal, while suture removal is not needed.